If you like first-person puzzlers like Portal, or atmospheric adventures like Myst, or quotes from Milton, then I have the video game for you. 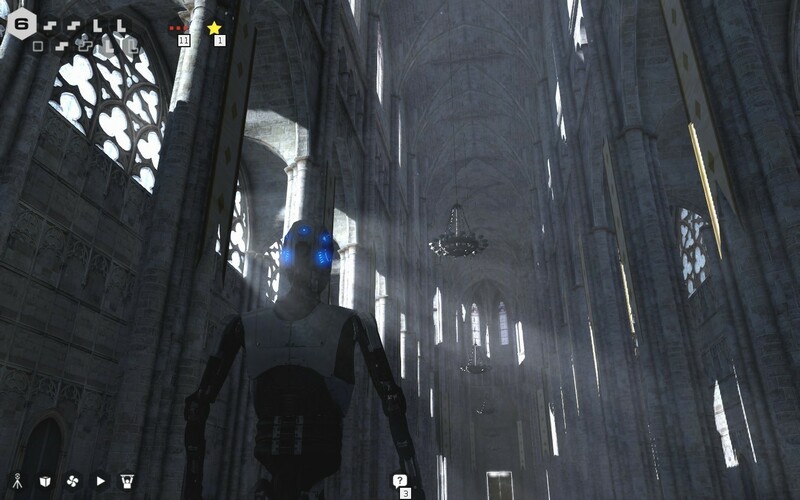 The Talos Principle works as Portal’s spiritual successor, with the player angling beams of light, placing weighted cubes on pressure pads to open gates, and using electronic “jammers” to freeze automated mines or gun turrets. The Talos Principle requires full use of the logical, spatial, and temporal thinking parts of your brain. Basically, be prepared to curse the developers out, then submit to their genius when a seemingly impossible challenge suddenly opens up. Indie developer Croteam were formerly best known as a Doom tribute act, having created the Serious Sam series, but here they’ve gone highbrow. 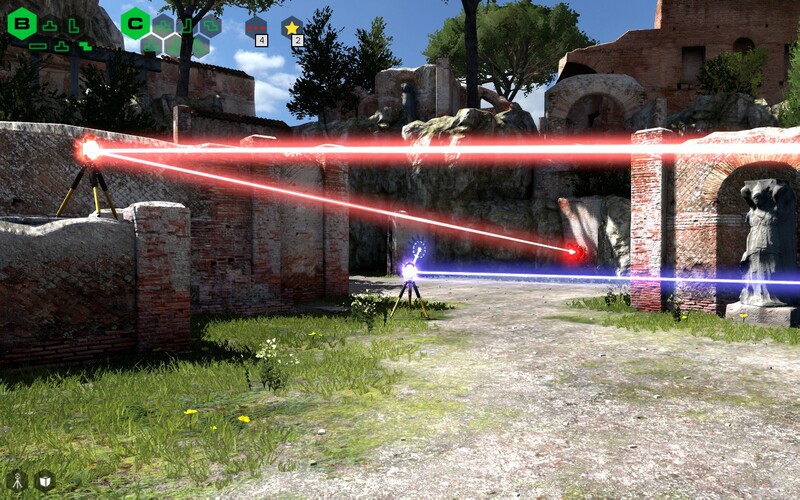 The Talos Principle has more questions to ask than simply where to point a laser. This is an indie game with an ambitious philosophical vision. Like the original indie hit Braid, The Talos Principle takes generic conventions – in that game platforming, in this puzzles – and refreshes them. (Braid is also referenced in one design mechanic – the ability to record yourself and use your past actions to solve puzzles in tandem). And, also like Braid, The Talos Principle tells a deeper story. Minor spoiler warning (that you can guess from the title) – early in the game a computer terminal recounts the Greek myth of Talos, a mechanical being built of bronze. Running through the game are philosophical and historical quotes on the nature of humankind and artificial life. As the mysterious setting gradually becomes less opaque, The Talos Principle asks: what is a person? Croteam’s ingenuity lies in the way that they enable you to answer. Some of The Talos Principle’s puzzles are obscure, bordering on the pixel hunt. And I often found myself solving puzzles by doing what “felt right”, rather than through any considered strategy. I’ll admit it! Then I’d look up the YouTube walkthroughs to figure out how I’d managed it – and discovered other, neater solutions! But the difficulty level, and the slightly repetitive gameplay, are only minor complaints. Especially minor, considering Croteam’s achievement – they not only crafted a sublime puzzle game, but also the first in a new genre: the “think-’em-up”. The Talos Principle is a game that explores existential philosophy, and could single-handedly win the “are video games art?” debate. Who am I? And who are you? What does it mean to be a person? Croteam literally could not have asked bigger questions! The Talos Principle pushes you, and even gives you a way to answer. I honestly don’t know why I haven’t played this already… Thanks for bringing this to my attention again! You’re welcome! Talos Principle was one of the best games I’ve played in years – cannot recommend it more highly!